Natural and Holistic Health for the whole body. 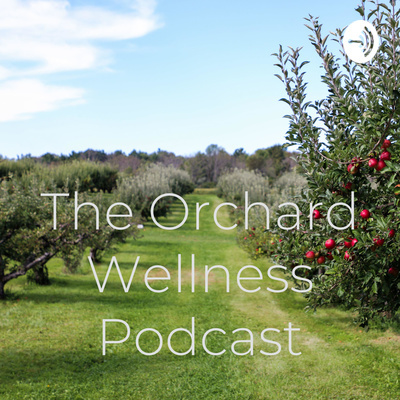 By focusing on balancing and healing the mind, body, and spirit, The Orchard Wellness Podcast gives you the knowhow on what you can do to live a healthier life and spreads knowledge about what you can do to keep you going. It’s easy to be optimistic about what you can accomplish in one day. Be realistic and don’t overfill your schedule. Loneliness is a huge problem this time of year. Invite yourself to places to fight that loneliness. The holidays are lonely for many people. Reach out and connect with others to make sure they also are having a great holiday. Staying emotionally and physically safe is important, and can easily be done with limiting or altogether avoiding alcohol. Sometimes, things don’t go your way. And that’s okay. That’s an opportunity for you to stop, take a beat, and relax. “Should” is such an obligatory word that stresses us all out. We really should stop using it. Instead, what other words are there to convey your message more effectively? Staying active throughout the winter will help your mind as well as your body. Manage your stress through regular movement. Volunteering and donating items can really help you throughout the holidays, and it helps others. We’re all in this together, so give back. It’s easy to get overwhelmed during the holidays. One way to help overcome that overwhelm is planning and goal setting. Find out more how you can overcome overwhelm through daily tips to get you through the holidays. Survive the Holidays! Preparing and planning helps keep you less stressed.